Monroe 37-1872; 18"W x 82"L x 30"H; Wt. 37 lbs. 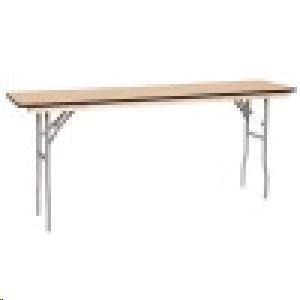 * Please call us with any questions about our table conference 18 inch x 6 foot rentals in Sacramento and Citrus Heights, serving Auburn, Placerville, Woodland, Davis, and Elk Grove in the Sacramento area.